If you have wished to the weekends, “Please baby come back” on a Monday, you aren’t alone. Maybe you have also taken a look at all the money you shouldn’t have spent and wished that it will all come back but it’s too late. Whatever it is that you want back, these baby come back memes are going to fit the occasion nicely. Okay, let’s break it down. The collection that we have below is basically please come back memes, but portrayed using babies. Or, if you choose to look at this from a different perspective, asking your baby to come back, these memes will do the job too! Don’t believe us? 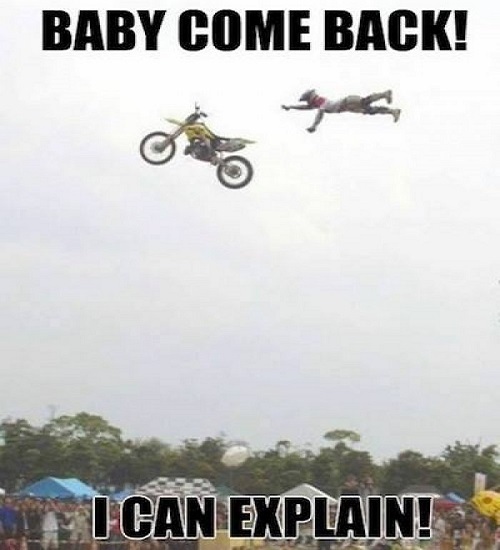 Just browse through our extensive collection of baby come back memes and you’ll see! Plus, these babies’ facial expressions are just too precious. They fit the message so nicely that we just couldn’t resist sharing these memes with you! So, who or what are you hoping to come back to you? 1. Come Back Here And Love Me. 3. Hey Baby, Why Don’t You Come Back To My Crib? 4. Hey Baby, Come Back To My Place. I’ll Show You My Massive…Meme Collection. 6. Baby Please Come Back. It Wasn’t You Baby It Was Me. 7. Baby Come Back. Or I Will Kill Your Family. 8. Hey Baby, Come Back To My Place And I Will Show You A PowerPoint Presentation. 9. Come back Here And Love Me!! 10. Baby Come Back. You Can Blame It All On Me. 11. Come Back Baby. I Won’t Hurt You. 13. When Your Girlfriend Leaves You. Baby Come Back To Me. 16. Baby Come Back… And Let Me Love You!! 17. Sings To My Ex “Baby Come Back…You Can Blame It All On Me”. Gets Blamed For Murder. 18. Baby Come Back… I Can’t Bear For Us To Be Apart. 19. Please, Baby Come Back To Me! 20. Baby Come Back. I Was Just Playing With Another Cat. 22. I Miss You. Come Back Please. 23. Baby Come Back! I Can Explain! 24. Come Back Baby. Let Me Chain Myself To Youuu. 25. Come Back With A Warrant. 27. Come On Baby Don’t Be Like That. I Brought You Some Toast. 28. I Miss You Baby… Come Back Soon! 30. When You Finish Up A Workout And You’re On Your Way Out And You Look Back And Say Goodbye To The Gym, Baby Come Back. Let’s see if sharing these baby come back memes will help you get back what you want! Even if they don’t, these memes should do some good in making you smile at the very least. Why not spread the joy and share these memes with your friends and family? Remember to keep our page bookmarked to get more updates from us!